Educational Center / Purchasing Antique Rugs / A Primer on Antique Rug Acquisition from an Eminent Expert – New! 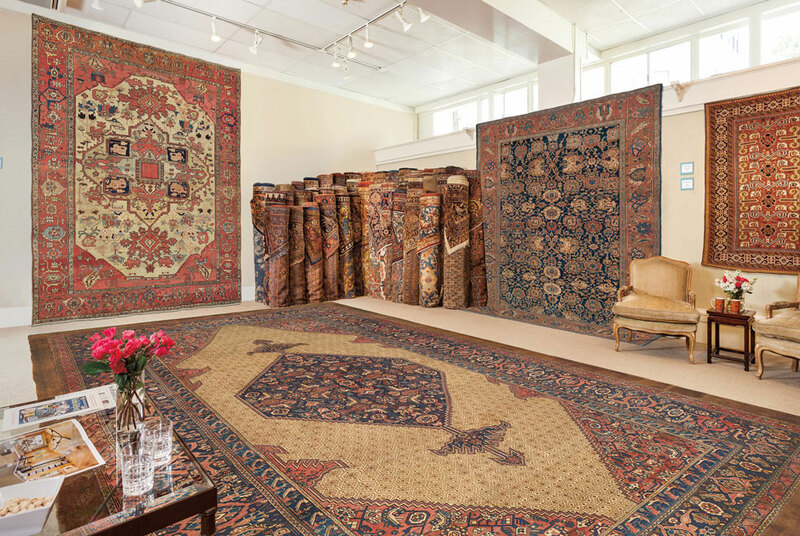 The private showroom at Claremont Rug Company, displaying some of the 3500 antique Oriental rugs in the Gallery’s collection. OAKLAND, CA.– As a part of his ongoing art education outreach, eminent global art dealer Jan David Winitz, founder/president of Claremont Rug Company, today released the transcript of an interview in which he answered fundamental questions about Oriental rug collecting. Winitz, whose Gallery contains more than 3500 antique Oriental carpets from the Second Golden Age of Persian Weaving (ca. 1800 to ca. 1910), has built a global clientele that resides on five continents and includes a broad range of connoisseurs and collectors of many art forms.  His underlying business philosophy is to provide clients with the highest degree of educational information. Question: What qualifies as an antique rug? Answer: While originally the term “antique” technically applies to rugs that are 100 years old, the passage of time has altered the significance of this parameter. Connoisseurs and collectors recognize that collectible Oriental rugs primarily date to the Second Golden Age of Persian Weaving (ca. 1800 to ca. 1910) when the high caliber of weaving skills, artistic expression, and a vast pool of pure natural dyes still existed. Beginning in the teens and 20s of the 20th century, rugs went from being woven as part of a cottage industry by craftspeople (primarily women), to being handwoven in large commercial workshops, and the dyes typically employed changed from natural to chemical. Virtually no rugs from this period and later are of significant collectible or investment interest. Rugs from the Golden Age of Persian Weaving (Claremont Rug Pyramid© Tier 1) were woven during the reign of the famous patron of the arts, Shah Abbas, in the 16th and early 17th centuries. The finest of these pieces rarely come to market and are almost entirely owned by museums and royal families. Rugs from the Second Golden Age (Claremont Rug Market Pyramid Tiers 2-3 and the best of Tier 4) are available from a few galleries in the world. The Claremont Rug Company inventory is comprised primarily of Tiers 2-3-4. Question: If I am looking to buy a 19th century rug for fine home decoration or collection, what considerations should I give to its condition? Answer: If you are looking for pieces that have no restoration at all, you are likely going to be disappointed. Well over a century has passed since these rugs were woven and the vast majority of rugs have seen use on the floor. Many of the most artistic, impactful, and, frankly, valuable pieces are coveted by connoisseurs because they show, in the best possible way, the importance of age in the patina of the colors and the feel of the pile. Even the finest, most collectible rugs will have had some stellar restoration done by highly dexterous weavers, using natural dyes and wool that matches the original. Claremont has its own dye workshop and has been able to recreate nearly all of the original natural dyes from natural sources. It also employs nearly two dozen master restoration specialists who use the identical techniques as employed by the original weavers. The wool for its restoration comes from a herd of karakul sheep in New Hampshire, the same variety as those who produced the wool used in Persia and the Near East to produce the rugs originally. Also, it’s important to note that some of the allure of great rugs is the patina the aging of the dyes provides. Many of the most artistic, impactful, and valuable pieces are coveted by connoisseurs because they show the history of the rug, its signs of use, and the loving care that has been given to it over the passage of five to eight generations. The bottom-line is that, if you value perfect condition over great originality, sublime color hues, and artistic impact, in most cases, it’s wise to purchase 20th century rugs. Question: How do I assess the value and quality of a rug that is more than a century old? Answer: If you are interested in collecting rugs, it is important to understand that there is an educational component to the understanding of the art form. At Claremont, we are deeply committed to educating those interested in antique Oriental rugs. We provide an “Eight-Point Methodology” primer and video, and our sales associates are deeply knowledgeable about the art form. The most basic considerations are whether the condition of a piece is appropriate to its age, and, if the rug has undergone restoration, how much there is and how skillfully it was performed. At the top end, highly collectible to museum-level rugs (Tiers 2 and 3) can easily be valued in the $100,000 to $500,000 range, depending on size and condition. Question: What do new collectors need to know to acquire intelligently? Answer: As I have pointed out, age and region of origin are only part of the value equation. The same can be said for such things as knot count and size. There are, however, some hard and fast “rules,” which we outline in our proprietary eight-point methodology. First, rugs produced after 1920 to the present day may be quite beautiful home furnishings, but they have little intrinsic art or investment value. Because almost all rugs from the Second Golden Age were originally placed on the floor and encountered foot traffic, their conditions will vary. Most Oriental rugs in the marketplace today were woven as decorative items (Level 5 and 6) and have negligible artistic merit. Those interested in collecting should find a highly experienced dealer of antique rugs who can help educate them, who has a broad inventory of Second Golden Age rugs, and has knowledgeable staff. Finally, while the best (Tiers 1-3) antique Oriental rugs are potentially significant, precious, tangible assets, the market is more attuned to those who collect art for its intrinsic value, with the understanding that its appreciation in rarity, collectability, and, therefore, value will only be at the top end.